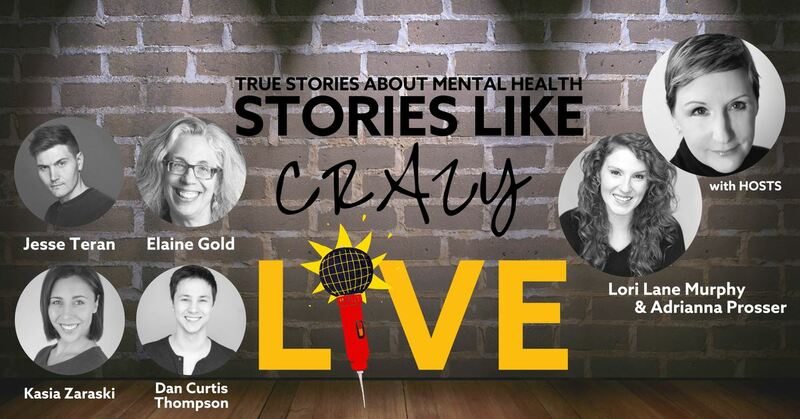 Come join us for our second annual Stories Like Crazy LIVE event in support of CMHA National / ACSM National Mental Health Awareness Week! Prizes and surprises all night long – including one ballot spot for you to share a story too! 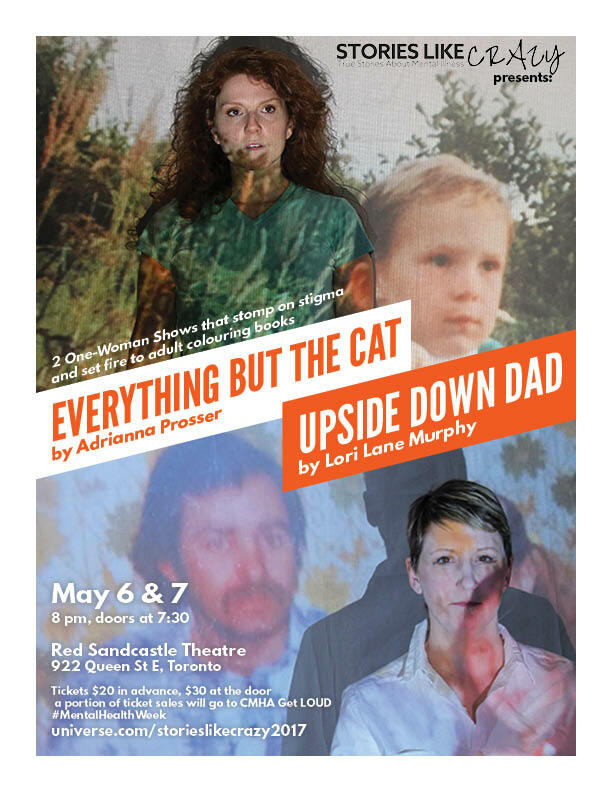 Or buy at the door (Cash Only) and sales go to CMHA! Join our Adrianna from Stories Like Crazy and certify yourself in suicide alertness. safeTALK is an alertness training that prepares anyone 15 or older, regardless of prior experience or training, to become a suicide-alert helper. Most people with thoughts of suicide don’t truly want to die, but are struggling with the pain in their lives. Through their words and actions, they invite help to stay alive. safeTALK-trained helpers can recognize these invitations and take action by connecting them with life-saving intervention resources, such as caregivers like Adrianna who is trained in ASIST (Applied Suicide Intervention Skills Training) and a Positive Space Ambassador, as well as s suicide loss survivor. Some of you may know I am a suicide loss survivor, and some of you even know I am a safeTALK trainer. It would be amazing to have you at my first public workshop this November 19th for Suicide Loss Survivors Day at Red Sandcastle Theatre in Toronto. I will be leading the workshop, and Jason Martorino, a teacher and Distress Centre volunteer with his ASIST, will be on hand to help those who may feel triggered or need a moment with someone who has crisis intervention training. This workshop is for those who want to help those around them by being alert to signs of suicidal ideation, and want to learn how best to help those who need resources to help them stay alive. I like to think of it as suicide prevention first aid: you are the first responder, and you will help keep them alive until you can connect them to a resource that will help keep them alive. 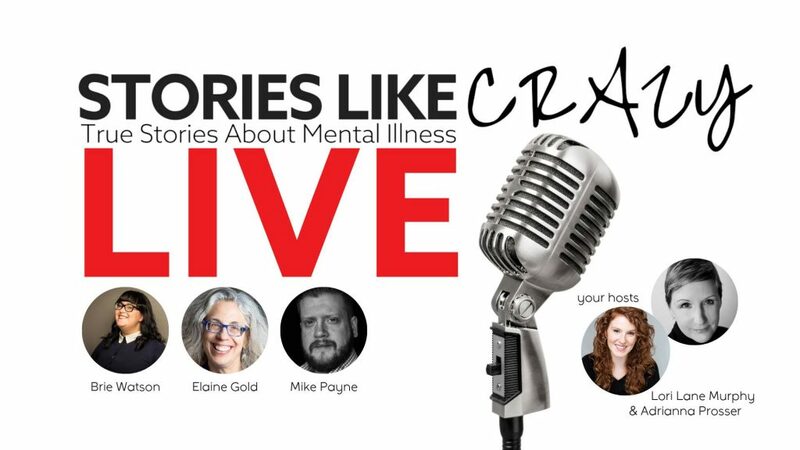 In celebration of CMHA’s Mental Health Awareness Week, join us for an evening of personal stories about mental illness that will make you laugh, make you cry and inspire you to get up on stage and share your own story! We keep one spot open if you are moved to join us! Our storytellers are some Stories Like Crazy favourites you won’t want to miss. Stories Like Crazy presents: 2 one-woman shows! Once upon a time, Lori Lane Murphy met me online… I was stoked to be a part of her All In Our Heads storytelling event at The Paddock a while ago, and wouldn’t you know it – Lori was even cooler in person. I even met her husband Paul who I immediately wanted to be his sister!